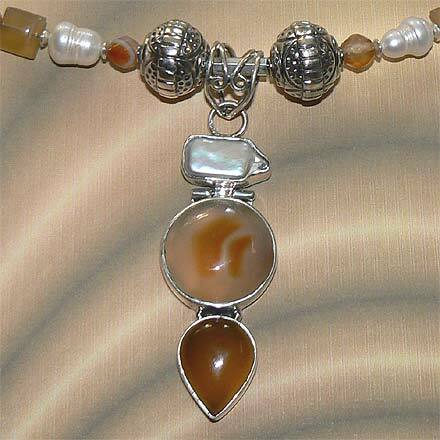 Sterling Silver Carnelian and Freshwater Pearl Necklace. See Closeup. 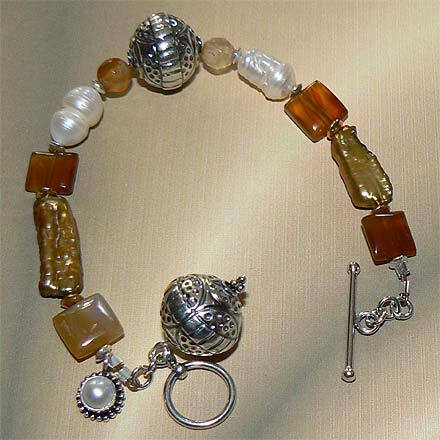 Sterling Silver Carnelian and Freshwater Pearl Bracelet. Translucent yellow Carnelian cut in a round cabachon will always evoke an egg yolk to me, and this set seems to be so happy and sunny. 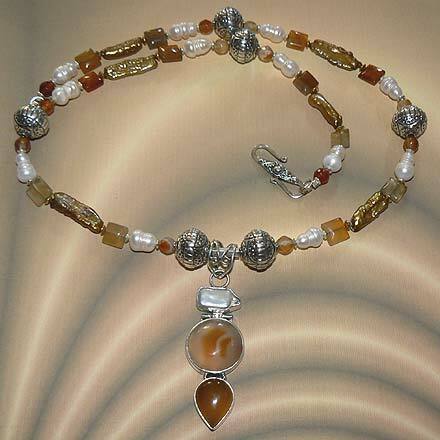 I used the most exquisite iridescent golden Freshwater stick pearls along with Vermeil spacers, combined with white Freshwater Pearls and assorted sunshiney Carnelian. For those who are interested in Astrological significances of stones, Carnelian corresponds with Taurus and Pearl corresponds with Cancer and the month of June.